Record Condition : Excellent. Sleeve : Tear to the back (see photo). FIVE PUNK RECORDS (1977 - 1978) - ALL IN GOOD CONDITION. PENETRATION - LIFES A GAMBLE (1978). SHAM 69 . SIDE 1: HURRY UP HARRY SIDE 2 : NO ENTRY. VINYL CONDITION: TESTED IN GOOD PLAYABLE CONDITION. SHAM 69 . VINYL CONDITION: TESTED IN VERY GOOD PLAYABLE CONDITION. Matrix / Runout (Side A runout etched): CBS S 5834 A1 ∴. Matrix / Runout (Side B runout etched [the second S is stamped]): CBS S 5834 B1 ∴. A Clash City Rockers 3:55. 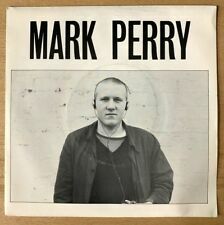 MARK PERRY. Vinyl is mint and unplayed. Standard 2nd Class - FREE. X RAY SPEX . SIDE 1: GERM FREE ADOLESCENCE SIDE 2 : AGE. VINYL CONDITION: TESTED IN VERY GOOD PLAYABLE CONDITION. PLAIN JANE. Labels Grading.MINT LOOKS UNPLAYED. Artist. .NEW HEARTS. MINT LOOKS UNPLAYED. Audio Grading. 5 add £85p each 5 add £1.10 each. 4 = £10.40 4 =£12.90. THE STRANGLERS - NICE AND SLEAZY -JAPANESE - UNIQUE PIC SLEEVE. Near mint in played condition. This is my own original 1978 vinyl LP in an embossed gatefold sleeve. It is a U.S. import and is in very good condition. THE STRANGLERS . SIDE 1: 5 MINUTES SIDE 2 :ROK IT TO THE MOON. VINYL CONDITION: TESTED IN VERY GOOD PLAYABLE CONDITION. JILTED JOHN . SIDE 1: JILTED JOHN SIDE 2 : GOING STEADY. VINYL CONDITION: TESTED IN VERY GOOD PLAYABLE CONDITION. SIDE 1: PARANOID SIDE 2 : I'M O.K., YOU'RE O.K. THE DICKIES . VINYL CONDITION: TESTED IN GOOD PLAYABLE CONDITION. 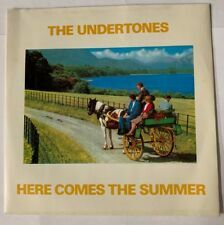 THE UNDERTONES. Vinyl is mint and unplayed. Standard 2nd Class - FREE. POLICE-CAN'T STAND LOSING YOU.7" BLUE VINYL.A&M AMS 7381. SLEEVE AND RECORD ARE IN EX CONDITION. 7" Single on the CBS label (S CBS 6576) Released 1978. On very rare misprinted original UK 7" in picture sleeve with paper labels ( B side label has been misprinted and has no label info / type on it ). Alternative TV. released on Deptford Fun City Records DFC007 in 1978. The Stranglers. 'Nice 'N' Sleazy' & 'Shut Up'. on rare original UK misprinted 7" in die cut card sleeve with A side paper label & push out centre. 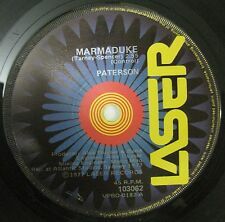 ( the record has been misprinted during the manufacture process and the B side label is missing ). THE LURKERS-AIN'T GOT A CLUE.7" PICTURE FLEXI.BEGGARS BANQUET BEG 6. SLEEVE IS IN NEAR MINT CONDITION.RECORD AND FLEXI ARE IN EX CONDITION. Siouxsie And The Banshees - Hong Kong Garden USA 1978 Polydor Promotional 7"
Siouxsie And The Banshees - USA 1978 Polydor Promotional 7" Single. Polydor Sleeve: 'VG '. Davie Jones And The King Bees - UK 1978 Decca Reissue 7"Single. Decca Sleeve: 'VG '. Grading as per UK Record Collectors' system. Cat No: SP 12008. The Dickies. Released: 1978. Condition: Vinyl NM / Sleeve NM. Limited edition white vinyl. Country: US. Label: A&M. 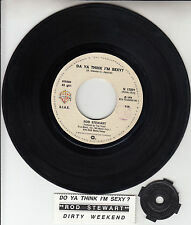 Slaughter And The Dogs - UK 1978 Decca Demonstration Sample Not For Sale 7" Single. Decca Paper Sleeve has ageing and small tear mark on front. Number written on side. Grading as per UK Record Collectors' system. Artist: Electric Light Orchestra. A: Mr. Blue Sky. Catalogue Number: UP36342. the sound, which is why we play testall of our records. So you know the sound quality of the record you're getting, not just what it looks like. On very rare UK original 12" in picture sleeve with paper labels. released on Bronze / Red Star Records 12 BRO 57 in 1978. Ramones - UK 1978 Sire Records Yellow Vinyl 12" Single. Grading as per UK Record Collectors' system. Labels: 'EX'. Rod Stewart - UK 1978 Riva Records Promotional 12" Single. Labels: Side one 'EX', Side two has small tear mark. Both labels have number written on. Grading as per UK Record Collectors' system. Record: 'EX'. BUZZCOCKS I Am The Amazing Buzzcocks 12" Clear Vinyl Maxi Single BLUE VINYL 12"
'I Am Amazing Buzzcocks 12" Clear Vinyl Maxi Single '. on rare original Australian blue vinyl pressing 12" in picture sleeve with paper labels. The picture sleeve has a scuff on the spine edge & top left corner. MAGAZINE-TOUCH AND GO.7" VIRGIN VS 207. SLEEVE AND RECORD ARE IN EX CONDITION. 'Chelsea '77' & 'Ain't No Legend'. on rare original UK pressing 7" in picture sleeve with paper labels & push out centre. released on United Artists Records UP 36327 in 1978. 'One Chord Wonders' & 'Quick Step'. The Adverts. on rare original UK pressing 7" in Delga Press picture sleeve with paper labels. released on Stiff Records BUY 10 in 1978. The records are also separated from the sleeve and placed in paper sleeve & poly covers. Original 1978 7" Single. It's The New Thing. Picture Sleeve. STYX Blue Collar Man UK 7" single gatefold sleeve PS 1978 ex+/ex Promo! Beyond this an "Unpaid Item Dispute" may be opened. (date written on front of sleeve). Record grading is subjective and I always try my best to be as honest as possible with the grading. Ramones - 1978 UK Sire Promotional Single Sided 7" Single. Sire Paper Sleeve: 'VG'. Grading as per UK Record Collectors' system. Salt - UK 1978 Raw Records 7" Single. Catalogue number: RAW 18. Grading as per UK Record Collectors' system. Delga Press Sleeve: 'EX' has slight ageing and edge wear. Record: 'EX'. Labels: 'EX'. JAM ~ DAVID WATTS / "A" BOMB IN WARDOUR STREET. Orig 1978 UK vinyl 7". M/M-. TITLE..DAVID WATTS /"A" BOMB IN WARDOUR ST. THIS ITEM.ORIG UK VINYL 7" SINGLE. YEAR. 1978. BIG STAR THIRD US orig £150. VINYL. MLike new. No marks or faults. BOB SEGER..HOLLYWOOD NIGHTS..EXCELLENT 1978 SILVER VINYL CAPITOL POP / ROCK 7"
SNIFF 'N' THE TEARS - - DRIVERS SEAT - - 1978 Australian EMI 7"